HIV/AIDS management poses many different challenges around the world, and the therapies available in the West are often not economically feasible in developing countries. This new book is the first to address the myriad of clinical difficulties faced by health practitioners worldwide in managing HIV/AIDS. 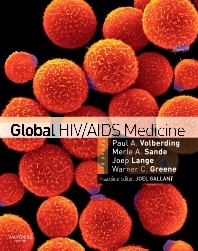 Edited by the same authorities responsible for the highly respected reference "The Medical Management of AIDS," with Associate Editors that include the President of the International AIDS Society and a preeminent opinion leader in the fight against AIDS in Africa, and authored by a "who's who" of current global experts on HIV and AIDS medicine, this visionary text presents all the practical, indispensable information that clinicians everywhere need to offer their patients the best possible care.